An ancient Indian curse strikes those that trespass on Tartu’s burial land, as Tartu awakens and transforms into animals to slay all comers. 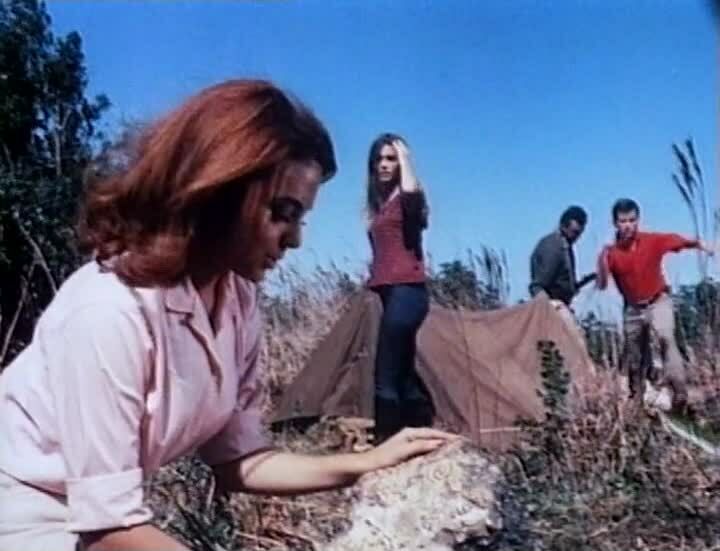 This cheap 1966 horror flick looks its budget, and comes complete with a good deal of padding. But underneath is the bones of a good horror flick, and had it been more than a rush job, Death Curse of Tartu might have gained a small cult following. For now, it’s place in on the Something Weird DVD alongside Sting of Death, the two classic Floridan horror flicks united forever. 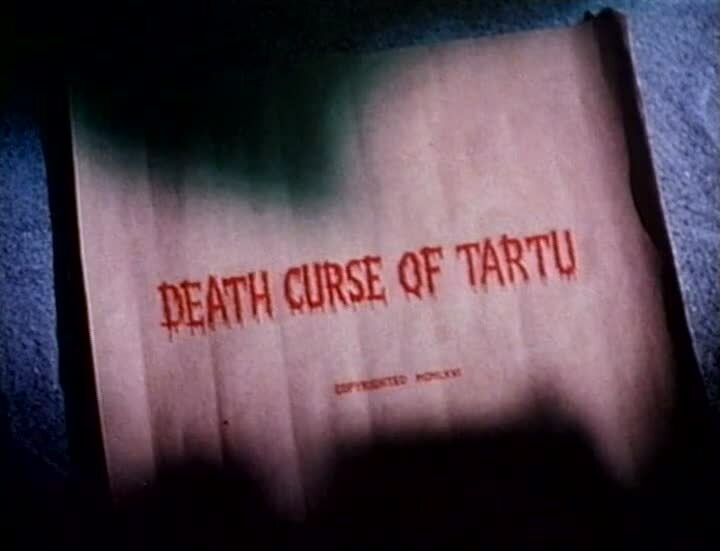 Death Curse of Tartu was shot in 7 days, made in a hurry after Joseph Fink and Juan Hildago Gato from distributors Thunderbird International acquired Sting of Death, and needed a horror film to play with it as a double feature for the drive-ins. 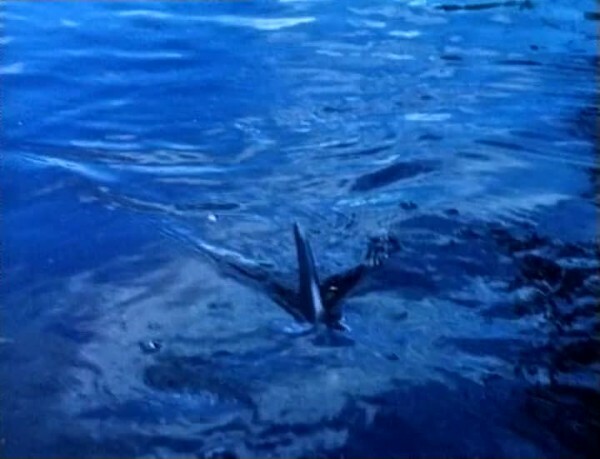 Unable to get another, they commissioned William Grefé to just make a new film, provided the production began immediately. Grefé spent 24 hours straight writing the script, and they were filming within 10 days. 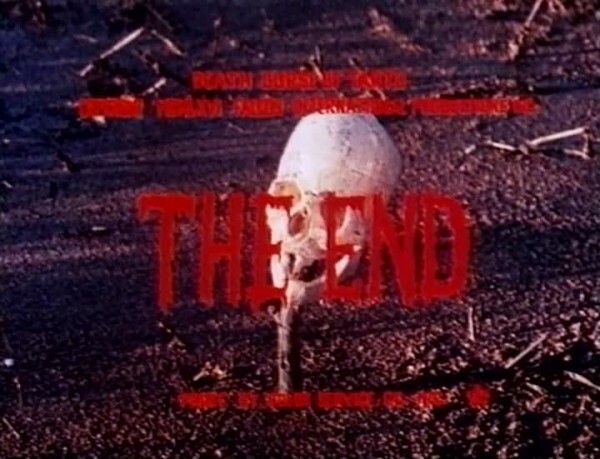 The basic concept was transplanting the cursed mummy type films to the Florida Everglades, as Grefé was based in Florida at the time. 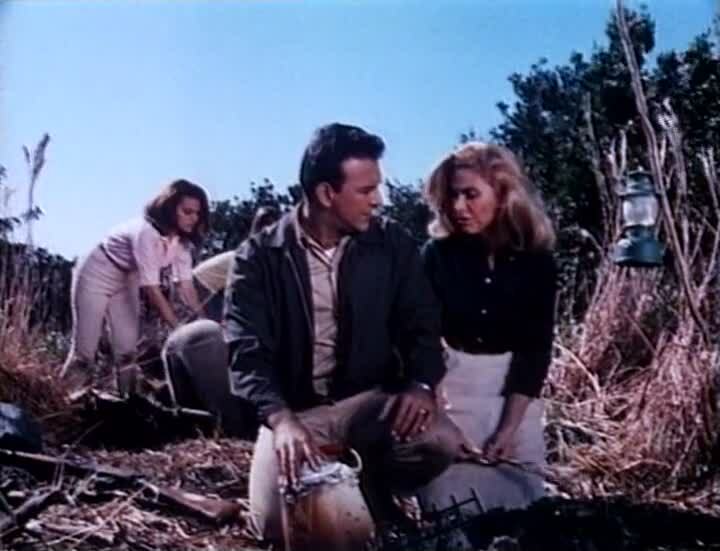 Florida was a compact B-movie hub from the 50s through the 70s, giving the nice weather of California with the closer proximity to New York in an era where cross-country travel was less common. Grefé’s commentary has some funny stories, particularly when telling tales of the animal handlers he used for Death Curse of Tartu and a few others. 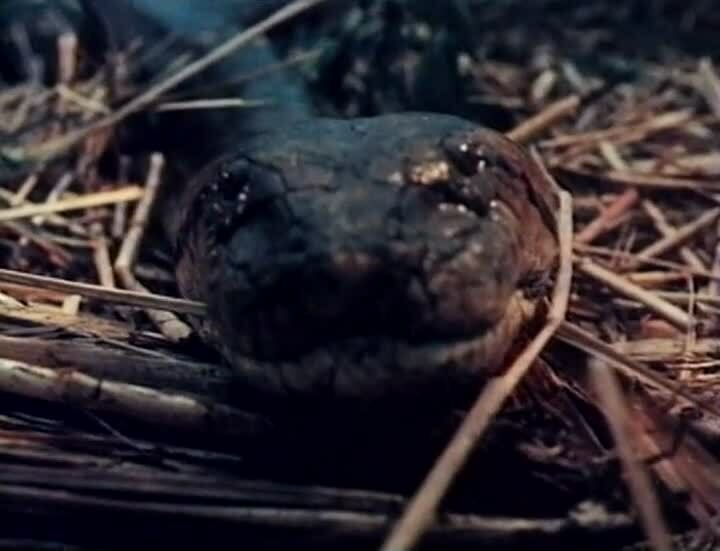 There’s also some casual admittance that the animal handlers weren’t the nicest to some of the snakes, and a general fear of the anaconda used in Tartu that lead to the casting of snake handler Frank Weed, as he was the only one who would wrestle the snake. 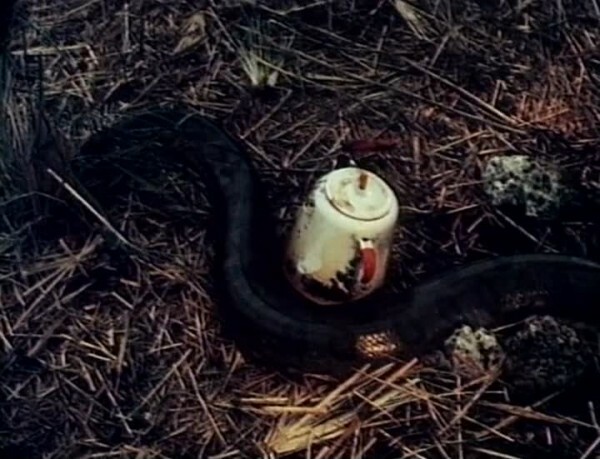 Grefé tells of when a tv news crew came to film the filming, and he struggled with the snake for their cameras, but the anaconda started constricting and it took four guys to get it off him. So maybe some tv news station in Florida has amazing footage in their archive, provided it hasn’t been destroyed by 50 years of hurricanes. If you remember that old MST3K short Catching Trouble where this jerk named Ross Allen spent his day capturing animals, Death Curse could form sort of a companion piece. Some of the stars are actual Floridan animal capturers like Ross, as are some of the characters. There is even a Seminole Indian character, he’s also the only one with the smarts not to go to the cursed land, not blindly following a white master for money like Old Sourpuss from Catching Trouble. 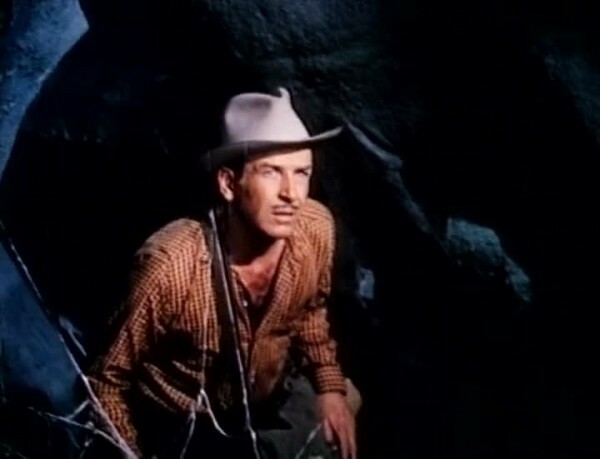 Ed Tison (Fred Piñero) – Leader of the expedition into the swamp to find Indian artifacts, and to meet up with his partner Sam Gunter. Whom he only finds the body of. Leads the fight against Tartu, which is mostly futile. Like many of the actors in Tartu, he’s a Cuban refugee. Julie Tison (Babette Sherrill) – Ed’s wife, who usually votes against his ideas. They seem to have a strained marriage, but maybe a weekend of fighting an Indian curse is just the cure they need! Billy (Bill Marcus) – An Indian guide who refuses to go into the cursed area. So he doesn’t, but he does provide a bit of expository dialogue. Cindy (Mayra Gómez Kemp) – Redheaded member of the teens who tag along due to their intense interest in making out— I mean, archaeology! Is a very good screamer, probably why she’s kept alive the longest of the cannon fodder characters. Marya Gómez Kemp went on to have a very successful career in Spain. Tartu (Doug Hobart) – An Indian witch doctor who cursed his burial land, declaring he’s slaughter anyone who disturbed it. Putting his burial land in the middle of the swamp 400 years ago seemed smart, until those darn white people showed up and keep trespassing. So they got to die! Tartu can turn into an anaconda, a shark, a rattlesnake, an alligator, and even the most dangerous animal. No, not gophers, man! This makes Tartu the original Manimal! Doug Hobart also played the monster version of the Jellyfish Man in Sting of Death. The meat and potatoes are the various characters getting slaughtered by the arisen Indian Tartu. His transformation to an anaconda that leaps from a tree eliminates our original intruder, but that guy’s got two boatloads of friends coming to join him. Which means we have an angry archeology person (I don’t know if he’s a professor or just an older grad student), his wife, and four college kids who are interested in archeology as long as it doesn’t interrupt their smooching sessions. Tartu’s coffin lies in a cave that comes complete with a retracting door (this is pretty high tech burial cave technology for 400 years ago! 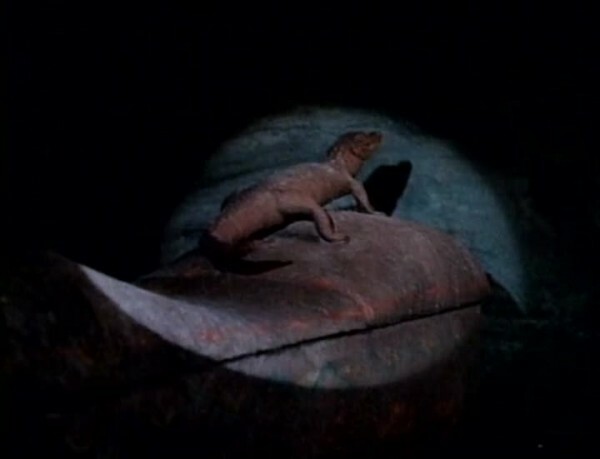 ), and his coffin is decorated with a big alligator statue. We see him awaken as the coffin lid opens, Tartu looking annoyed that he has to arise again. His face is painted white, and he looks like they patterned the makeup after the same image that Johnny Depp’s Tonto makeup was patterned after! This may be a coincidence, as the I Am Crow painting by Kirby Sattler was painted years later (and is probably not real Indian makeup), but all I thought was Tonto rising from the grave to slaughter people, and that sounded awesome. At one point Tartu turns into a shark and shows down on two of the kids in the swamp. Sharks aren’t freshwater creatures, thus our hero Ed Tison knows something is wrong. The scene is made with a fake shark fin and stock footage of the shark (also the only stock footage in the film, all other animal shots were freshly made for Death Curse of Tartu!) Tartu kills another via turning into a rattlesnake that bites and bites, while another character is chased by a Tartu crocodile. Tartu’s attacks are forewarned by ominous drumming and Indian chants, which the characters can occasionally hear. Most of the film is shot on location at the edge of the Everglades, Grete explains it’s just so much easier to shoot at the edge then to go into the glades, because you have to lug all the heavy camera equipment. You camera nerds will also like his explanations for all the hacks they did to cameras to make lighter cameras to get better shots, and the drawbacks like limited film length. I especially like their solution to the opening credits. Instead of paying extra money for animated credits, they have the first nameless victim be carrying a scroll that Tartu opens up, the scroll just happens to be the opening credits, and Tartu reads through them all. 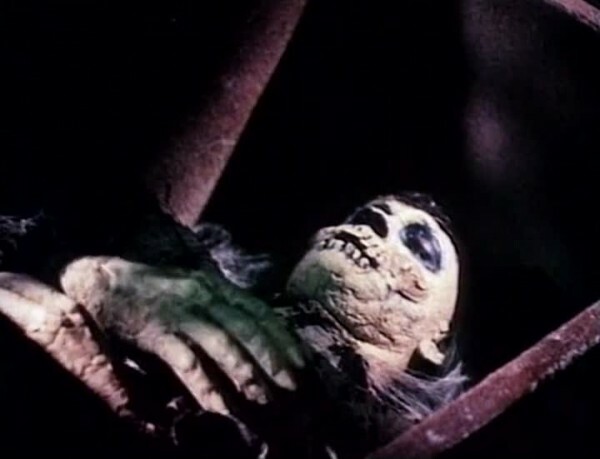 Not sure many other films have had the monster read the opening credits, so that’s a unique feature. Things are most interesting when the action is happening, but unfortunately there is just so much padding that gets in the way. I’d suggest watching commentary on, because that helps fill in the boring sections. At one point when some of the teens are killed, Cindy screams and screams until her boyfriend begins violently shaking her and shoves her to the ground yelling at her to stop. That’s not the kind of thing you’d see in films any more. The teens also stop and dance (with both the girls in bikinis, because who doesn’t go into the swamp to change into bikinis to make out and dance?) to a song called “Jo Jo Ann”, but it’s no “Do the Jellyfish”. Death Curse of Tartu becomes an amazing artifact, but doesn’t lend itself to pop culture WTF significance like Sting of Death does. But it’s just right there on the disc, so why not give it a whirl? What, do you want Tartu to come after you? A pretty fair evaluation of this film’s (minor) positives and numerous negatives, plus a good observation regarding Tartu/Tonto similarities – I hadn’t noticed that. 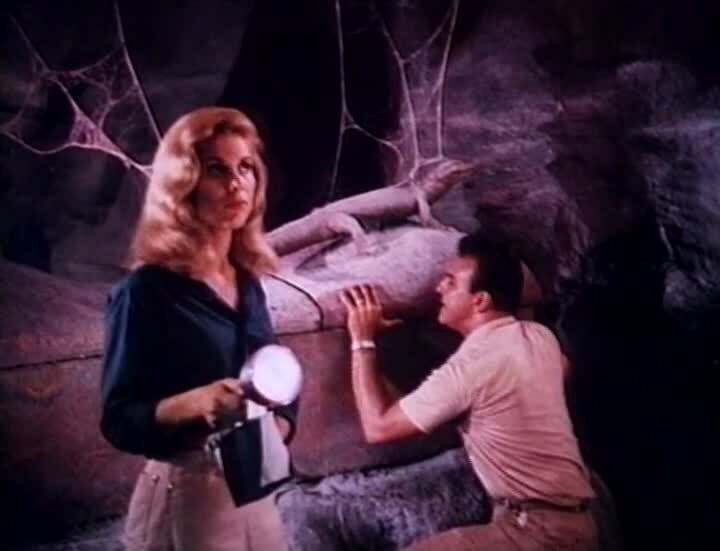 For a low budget production I thought it utilised the location to create a fair amount of atmosphere, and Val Lewton films notwithstanding, the notion of animal spirits was novel enough to pique my interest. In retrospect, I think the greater part of my fondness for ‘Death Curse of Tartu’ comes from memories of the venue in which I saw it. As a kid in Petone, New Zealand, I was blessed with a local cinema which screened the most wonderful, obscure double features including the likes of ‘Tartu’, ‘The Terrornauts’, ‘From the Orient With Fury’, ‘Captain Sinbad’ and the very rare John Agar film ‘Hand of Death’. For bonus points, given the timeframe/location, it’s entirely possible I might have (unknowingly) shared an audience experience or two with a young Peter Jackson! That sounds like a fun way to see all sorts of awesome flicks! Maybe if you ever run into Jackson you can bring that up.